Are there any advantages of going abroad for alcohol and drug rehab? There are many great reasons to seek help for alcoholism and other addictions outside of the United States and Canada. The answers are really multifaceted. 13 points are discussed below, based on our experience in the field. a. The combinations of Obama-care mandatory coverage of addiction treatment, opioid epidemic, lax and unregulated laws and procedures for billing the insurance companies. The active addicts themselves turning to easy unscrupulous operations of rehabs, referral services, sober living houses, patient-brokering and exorbitant urine-testing scams. The backlash against this travesty is as to be expected – the pendulum has harshly swung to tightly controlled bureaucracies, regulations upon regulations, accreditations of accreditations. Players involved now include the giants of Google and Facebook deciding which rehabs are able to engage in advertising. Only the largest of the rehabs with the greatest advertising/marketing budget can even afford to attempt get the accreditation needed to compete. Along with the unscrupulous sector of rehab, smaller, independent and ethical treatment centers are now lumped together by Google and Facebook with bail bond and payday loan companies. b. 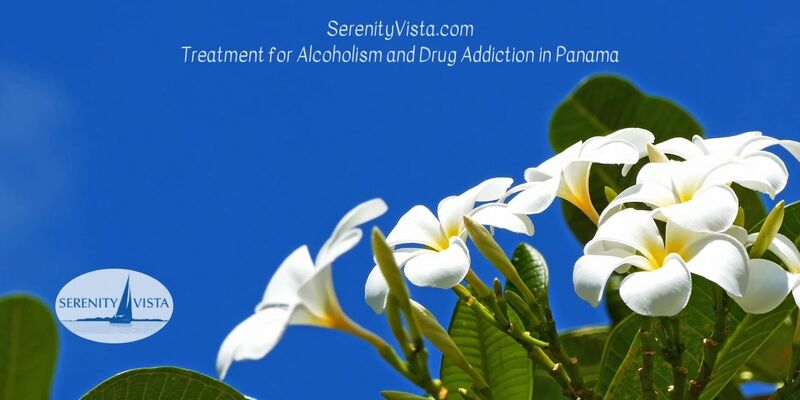 Private, independent alcohol and drug rehab facilities in Panama, Antigua or Thailand, throughout this chaotic time have just continued to offer steadfast, effective, value-filled treatment. They are far removed from the drama and ethical chaos of rehab in the United States. a. Asking your doctor or employer to help you find treatment will result in a permanent record. Whether you agree there is or isn’t, should or shouldn’t be – there does remain a stigma towards addiction. Getting treatment for addiction doesn’t have to be a secret, but it should remain private. If you go to rehab in the United States, especially if you are using an insurance company, it will remain on your – often hackable – record. Many people in long-term recovery choose to be open about their change in lifestyle. It is strongly suggested that people are secure in their sobriety before choosing to ‘come out’. b. Privacy, discretion, independence and individualization are part of the value package by choosing an alcohol treatment facility out of the United States. a. The opioid epidemic is being addressed and change is happening for the better. Many professionals and recovering opioid addicts have found that medication-assisted therapy is working. This is commonly referred to as the ‘harm-reduction’ model, as opposed to the ‘abstinence’ model. There is a place for MAT, absolutely! It does help to reduce harm. If a person is looking for recovery from alcoholism, cocaine addiction, nicotine addiction, gambling addiction, or codependency /enabling /people-pleasing, being in the same treatment facility as MAT clients is counter-productive. Finding the level of clarity, focus and challenge for full abstinence and internal healing requires a drug-free environment with like-minded persons. This includes freedom from nicotine and people using nicotine during treatment. a. Many people are court ordered to go to local treatment as an alternative to incarceration. They don’t really want to get healthy, they just don’t want to go to jail. Who do you want to be your roommate in treatment? b. Choosing an ethical, reputable treatment facility out of country ensures that the other people in treatment will have similar values to yours. Needing alcohol treatment does not have to mean that you have been living on the streets. Most people choosing treatment in Panama are well educated, love to travel and still have the financial means to find the treatment that fits best. a. If your treatment is covered by your insurance plan, then that treatment is dictated by Big Insurance. Big Insurance is Big Business that is not really interested in people recovering from addiction. If your treatment center is charging your insurance company, then that treatment center has an entire department that is working with the daily changing rules and regulations of each independent insurance company. And if that insurance company denies you, you are likely to be removed from the treatment when they say you are ready to go. Big Insurance breeds dependency. Drug Rehab Treatment Centers become addicted to Big Insurance Companies. The individual person seeking treatment has become a pawn for this relationship. b. A private, independent foreign alcohol facility treatment center does not play the Insurance game. Treatment is based on what works, not what they can be billed to Blue Cross/Blue Shield. a. One size does not fit all. This is pretty obvious. b. The spiritual, emotional, mental, physical solution is always the same. However, the paths to this solution are as varied as each person. Being in an alcohol treatment center with a small number of other guests, with counselors, therapists and holistic practitioners that can really get to know you, offers the most straightforward path. a. An addict can become an ever-revolving client by relapse, return, and relapse return. Relapsing returning clients are worth a lot of money to Big Rehab. b. Private, independent foreign treatment facilities offer up to 90-day treatments. There is no quick fix for the body – mind – spirit malady of addiction. You are welcome to come back to visit your foreign rehab again – on your next vacation! a. Who will be your room-mates during the most important journey you will ever make in your life? People who are onboard with recovery working to change their life, or chronic grumblers, under miners, and people trying to hide from the truth? b. People choosing a private, independent alcohol treatment facility center abroad have things in common. They are more likely to be of a similar socio-economic-educational background. Getting to an upscale rehab facility abroad like Panama probably means that, while there may still be 2 cars in the garage, the greatest loss may be dignity and self-respect. That can be restored with good leadership and therapeutic programming. a. In Big Rehab in the United States, often the counselors are paid substantially less than the marketers, and admin dealing with Big Insurance. Having a ‘certificate of addiction counseling’ may mean nothing more than a ‘food-safe’ certificate for a restaurant worker and some clean or sober time. How many hours a day of ‘therapy’ and who will you spend most of your time with? It is not uncommon in Big Rehab of North America for support staff, such as kitchen staff, or the other newly recovering addicts helping to give advice. b. At a private-pay, independent facility like the ones in Panama, Antigua or Thailand, therapists are often attracted from the local ex-pat community. Therapists are semi-retired or retired, they come from having had a full career in a range of addiction related professions. They continue to stay connected to recovery out of a passion for helping people heal from addiction. Not because they ‘need a job’. These are highly professional, skilled, passionate therapists that work wonders. a. In rehab just down the street from home, it is pretty easy to leave early and relapse when the going gets uncomfortable. b. Being at an independent treatment facility in Panama or Thailand or Antigua means that there is a barrier to leaving early. It is not so easy to walk out the door and catch an Uber. Recovery can seem like a ‘foreign country’. There is a new language, new customs, even a ‘secret handshake’ at the end of 12 Step meetings. Leaving the United States or Canada can feel like a fresh start as soon as you get off the plane to your destination. Now, drug rehab is no vacation, but…given the choice between snowy Minnesota and balmy, flower and rainbow filled tropical paradise, it is easy to see the appeal of temperate climates. Fresh fruits from the property, colorful birds, jungle hikes, waterfalls, green mountains, warm humble locals. A wonderful place to put aside the daily stressors and find the way inward to healing. Compared to the luxury facilities in the United States, rehabs abroad, especially in Latin America, can offer a tremendous saving. Compare Malibu treatment to Panama treatment, and find foreign rehab about 1/3 of the price. These are but some of the many advantages of going abroad from the US to seek quality alcohol or drug rehab options. If you are facing the need to get help for alcoholism or other addiction, consider all options, including going abroad for high quality, individualized treatment, in a beautiful setting. addiction treatment in united states, addiction treatment international, addiction treatment overseas, best international rehab, drug rehab, drug rehab abroad, drug rehab international, ethical issues in drug rehab, going abroad for alcohol and drug rehab, going outside us to rehab, going outside usa for rehab, holistic rehab, international alcohol & drug rehab, international alcohol treatment, international drug rehab, international rehab, private addiction treatment, private rehab, rehab in caribbean, rehab in central america, rehab in panama, rehab in thailand, rehab outside us, rehab outside usa, thailand rehab, travel abroad for drug rehab, travel abroad for rehab. Bookmark.